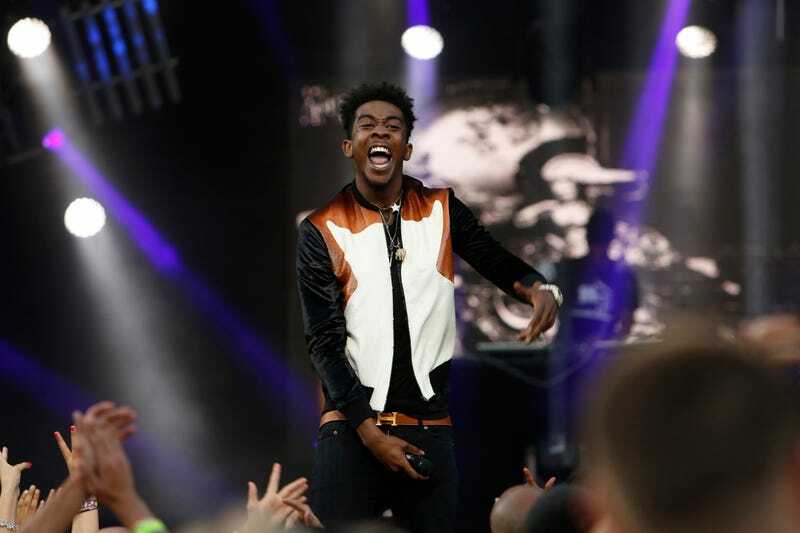 Desiigner during a Sept. 6, 2016, appearance on Jimmy Kimmel Live! Nineteen-year-old rapper Desiigner was arrested Thursday night in New York City after authorities say a road rage incident turned into a drug and weapons bust. According to TMZ, Sidney Royel Selby III (the rapper's real name) got into an altercation with drivers in another car and allegedly pulled a gun out on them. The rapper and his entourage eventually drove off, but not before the other drivers took down the plate numbers and reported the incident to the cops. Moments later, Desiigner and his friends were arrested when cops say they found a gun, pills and other drugs in their possession. Five people, including the rapper, were charged with criminal possession of a controlled substance and criminal possession of drugs with intent to sell. Desiigner was also charged with felony criminal possession of a loaded weapon.